Throughout his 15 years of experience in advertising and marketing, Brad Boothe has developed skills to identify and target businesses’ customers and create long-lasting relationships between them. Brad is well-versed in marketing tactics such as strategic planning, market research, branding, promotions, ad design, and campaign creation. 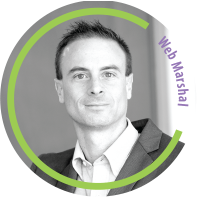 Brad also has expertise in digital marketing, from website creation to social media management, and everything in between. Brad earned his degree from Radford University with a double major in Media Studies and Marketing. Upon graduation, he took on the role of Marketing Director for Member One Federal Credit Union where he remained for several years. Brad’s next move brought him to Integrated Properties, where he was the Marketing and Specialty Leasing Manager. In addition to his love for marketing and advertising, Brad is an avid sports fan and was an athlete for much of his life. He’s found many of the skills he learned on the playing field, like teamwork, leadership, and determination, have contributed to his success in client relations.